Handmade Detroit | Moveable Type in Flint, Tuesday! Moveable Type in Flint, Tuesday! Kyle Durrie, the owner of Power and Light Press in Portland, Oregon and inspired letterpress printer is touring the United States (and parts of Canada too!) in a 1982 Chevy Step Van that has been converted into a mini-studio to teach and demonstrate printing to interested students for a nine month road trip. 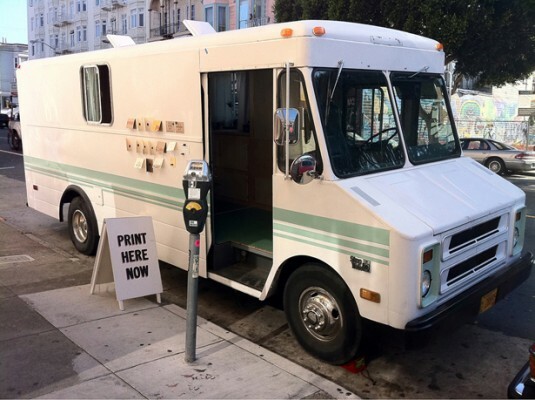 The project was funded via Kickstarter, and the truck customization complete with a mid-century sign press and a platen press from 1873 is really inspiring. On Tuesday, September 13th, Moveable Type will be at the Flint Farmer’s Market from noon-5pm. It is free to attend, learn and pull your own print, brought to you by Flint Handmade. Can’t make it? 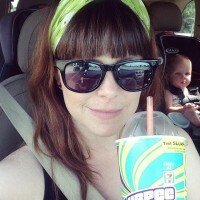 Catch up with the tour on Kyle’s blog , or on Twitter – her handle is @typetruck. Thank you Kyle and the friendly folks at Flint Handmade for making this possible. Thanks so much for posting this, Bethany, and for coming to the event! You, too, Charles!